For people both in and away from Paris, Monday's events were heartbreaking. For me, they felt personal. I can't remember the first time I learned about Notre Dame, but it was probably when I watched Disney's "The Hunchback of Notre Dame." The movie, based on the Victor Hugo novel of the same name, tells the story of a reclusive bell-ringer named Quasimodo, who sees the world through the window of the cathedral's bell tower. He longs to be accepted by society, but his deformed appearance keeps him inside. On Monday, the world watched Notre Dame. Not for its beauty or because the movie had a revival, but because the landmark was on fire. For hours. 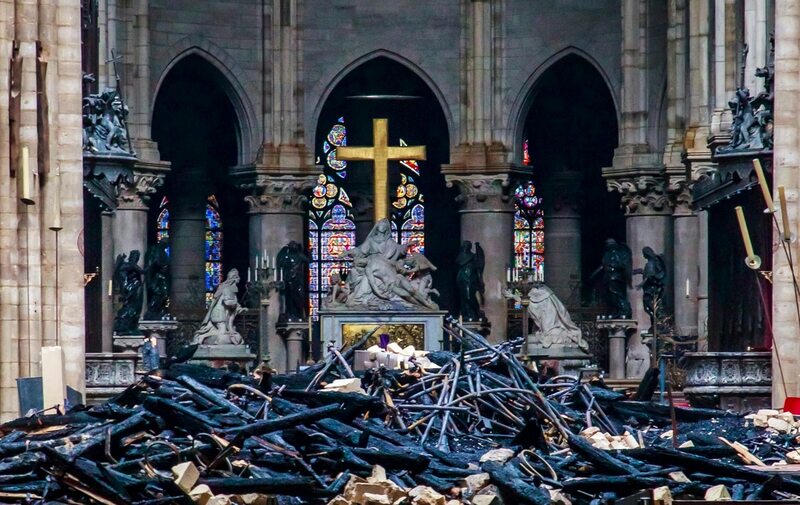 Parisians mourned the cathedral's (partial) destruction. This time, the church itself was deformed, and no one could believe it. As a New Yorker who grew up in a post-9/11 world, watching Notre Dame burn felt deeply personal. Not only because I have lived and traveled there, but because a burning landmark anywhere is painful for anyone who has come to know and love that piece of art. But the fire eventually stopped, and Notre Dame will be rebuilt, according to French President Emmanuel Macron. In the wake of Monday's tragedy, it's clear there is a glimmer of hope on the horizon, but rebuilding – literally and figuratively – will be hard.